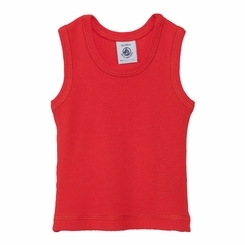 Baby boy round neck tank top in rib knit. Red. 100% cotton. Proof of quality, the Petit Bateau products are "100% made in France".